While shooting eastern tiger swallowtails in the joe-pye weeds, out of the corner of my eye I kept seeing something large and white darting about in the New York ironweed. I only managed to get a few blurry pictures of it before it disappeared altogether. 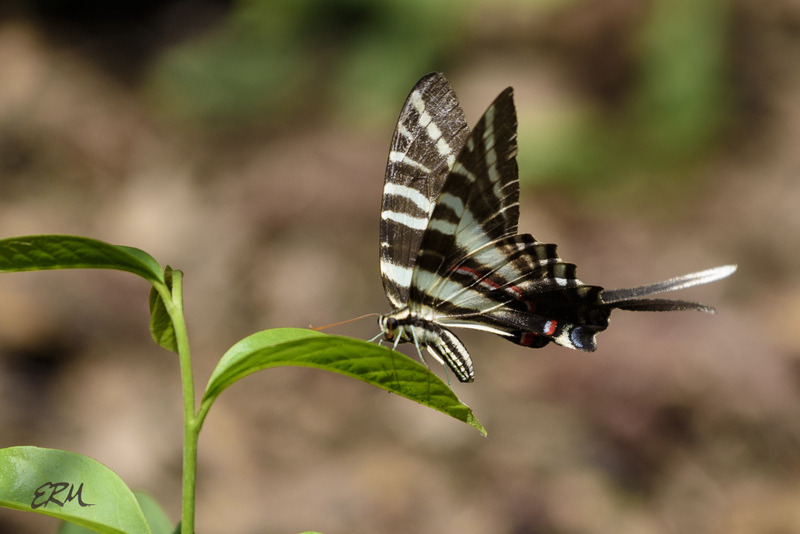 There’s no doubt what it was: a zebra swallowtail (Protographium marcellus, formerly Eurytides marcellus). The next day I was outside tending to something else when I saw it again. This time I dashed inside, got the camera, and dashed back outside to the low fence that separates my property from the road. Along this fence I’ve planted understory trees and shrubs, and a few perennials. Among these are two small pawpaws, and that’s where the zebra swallowtail was. For half an hour I observed its behavior. It would flutter about the pawpaws, settling for maybe a second or two at a time, then it would head south and check out the joe-pyes and ironweeds, then it would make a big loop up the street and come back over the fence on the north side of the yard, gliding back through the trees and shrubs to flutter about the pawpaws again. Sometimes it made a big loop through my yard instead; always it returned to the pawpaws. The males are known to patrol around pawpaws, looking for females. 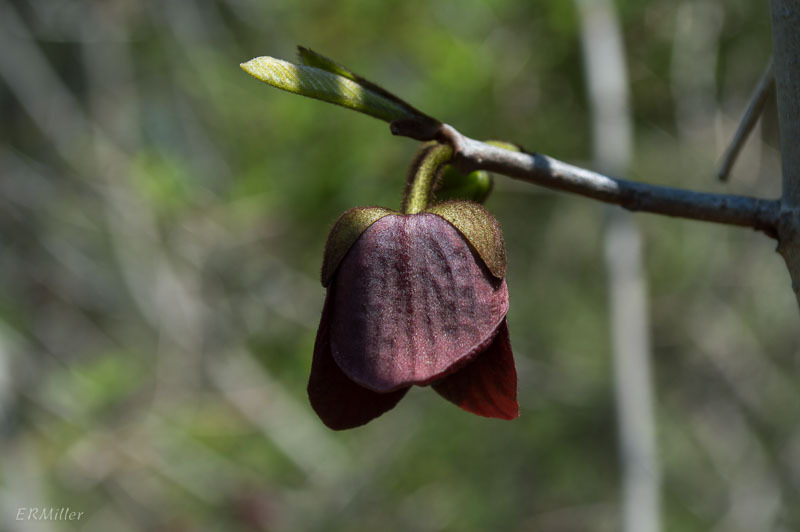 Pawpaws (Asimina triloba) are the host plant for the caterpillars. 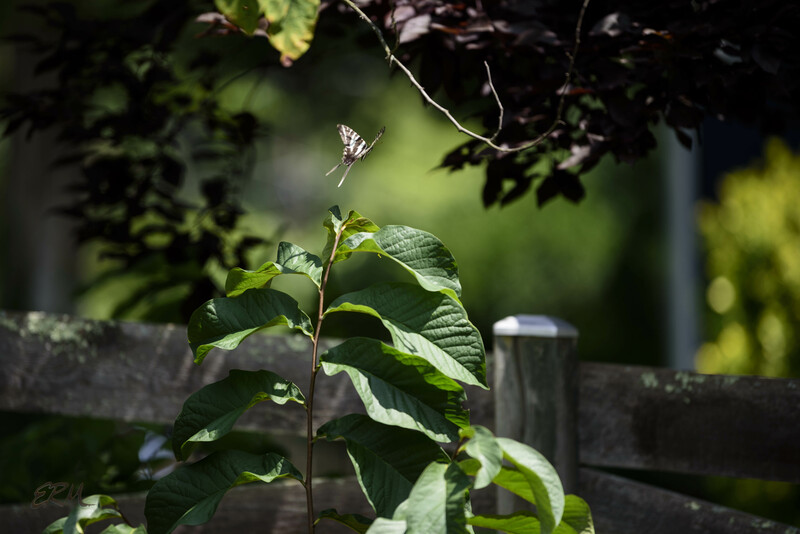 Adult zebra swallowtails feed on nectar from a variety of plants, including dogbane, common milkweed, verbena, redbud, and blueberry. I need to plant some of those by next spring, because I sure would like to see more of these striking insects flying about my yard. Zebra swallowtails are found primarily in the South, southern mid-Atlantic, and southern mid-West. In Maryland, which is almost as far north as they go, they fly in April and August; further south they fly from March to December. Apparently it’s difficult to distinguish the females from the males, at least when they’re on the wing, other than by observing behavior. The one pictured in this post might be a male; all the time I observed it, I never saw it laying eggs (the females lay one egg at a time, on the undersides of pawpaw leaves). I also haven’t seen any eggs or caterpillars on the plants, though I’ve been checking every day. Zebra swallowtails from summer broods have much longer tails than those from spring broods. Click on these pictures to get a better look at just how long those tails are. 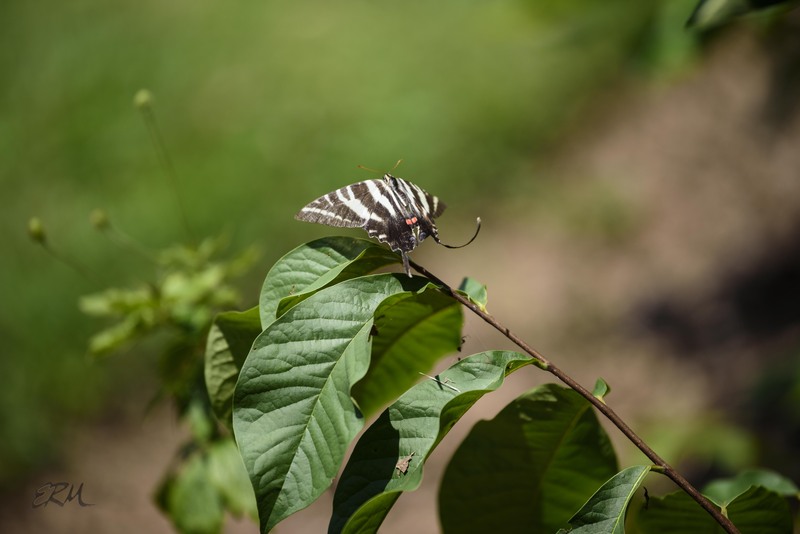 This entry was posted in Uncategorized and tagged Asimina, butterflies, pawpaws, zebra swallowtails by elizabeth. Bookmark the permalink. 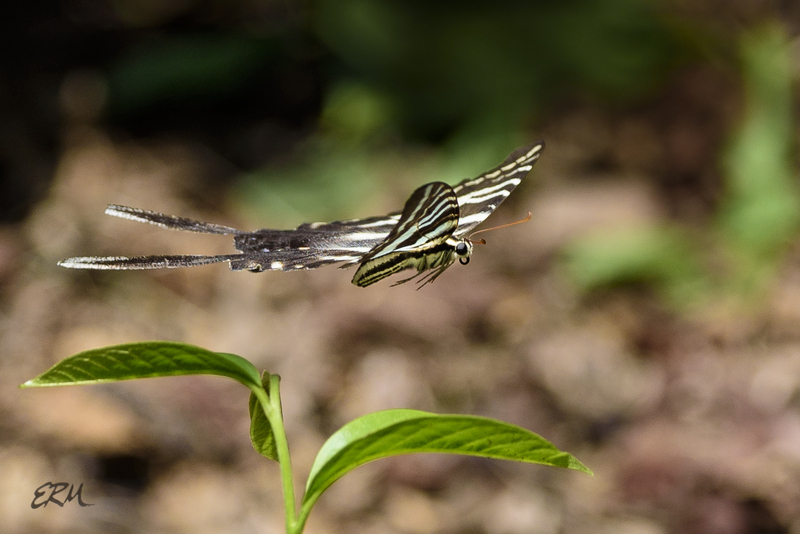 Those are some beautiful shots ot Zebra butterflies Elizabeth!